21st Century Wire say… This is one step away from SKYNET ala Terminator – as these advances in artificial intelligence will be extended to the current multi-billion dollar per year drone industry, where unmanned drones will not just be chasing phantom terrorists in the hills of Afghanistan, but more likely chasing citizens within North America, Europe and elsewhere. As 2012 winds down, lots of people are looking back at the year in tech. 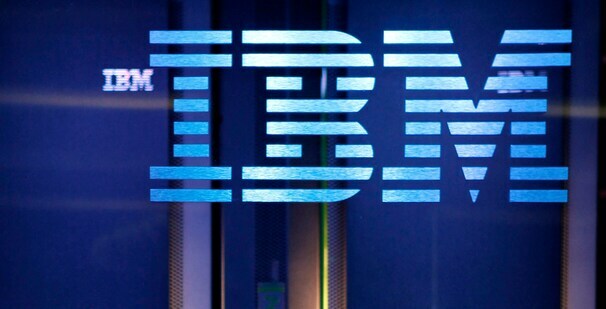 But at IBM, researchers have released a list of trends to expect not only in 2013, but in the next five years. On Monday, the company released its annual “5 in 5” report, which offers up predictions about what technology innovations will catch on in the next half-decade. This year, the report focuses on how computers will process information in the future, and IBM’s researchers say that nature’s gift of five senses won’t be reserved for just the living: Machines may actually be able to process things as humans do — through touch, taste, sight, sound and smell. That, said IBM vice president of innovation Bernie Meyerson, would be a major shift in the very architecture of computing. “If you program a computer, it’s a gruesome undertaking,” said Meyerson, noting that — at its most basic level — the way humans load information, bit by bit, into computers, hasn’t changed since the abacus. But advances in computer technology, Meyerson said, are already allowing computers to look at an object holistically, taking in information in a moment that would have taken years to input through code. The idea, Meyerson said, is to give humans and computers a common language. And it’s not as difficult — or as futuristic — as you may think. Smell and taste, Meyerson said, are two senses that have a clear chemical base. If computers can sense the types of molecules — ammonia, explosive residue or gasses that indicate decay — they could alert users to different markers that would flag security risks or food-borne illnesses. The same is true of taste, he said, if computers could be programmed to recognize the correct proportions of certain chemicals. Or, the machines could be used in health planning, to find healthy combinations of foods that would appeal to the palate of the dieter. When it comes to sight, Meyerson said, researchers have improved recognition software that can identify objects based on a database of images already loaded into the system. And in the future, computers could “hear,” by using detailed sound analyses that, for example, can tie a certain pattern of notes in a baby’s cry to anguish or joy. Finally, computers could learn to tell the difference between cashmere or concrete by reading the appropriate signals of vibration and temperature, Meyerson said. Video game makers have already used a very basic version of this: controllers vibrate when there’s impact between objects on-screen. In the next five years, researchers could take that sort of program to a microscopic level, allowing machines to have some sense of touch, Meyerson said. While each idea has applications of its own across many industries, Meyerson said that they would have the greatest impact when combined. Yesterday, December 4, VICE broke the news that anti-virus mogul and “person of interest” in a Belizean murder case John McAfee has retained the services of high-power attorney Telésforo Guerra after fleeing to Guatemala. Britain’s so-called “snooper’s charter” bill is heating up debates among MPs as parliamentary reports on it are being prepared. The bill’s initiator has just released an emotional verbal offensive against the opponents, equaling them to criminals. Down the years and across the universe, the heroes of science-fiction classics from Dan Dare to Star Wars and The Matrix have fought intergalactic battles with weapons that wipe out enemy electronics at the touch of a button. Now scientists have turned fantasy into reality by developing a missile that targets buildings with microwaves that disable computers but don’t harm people. Aircraft manufacturer Boeing successfully tested the weapon on a one-hour flight during which it knocked out the computers of an entire military compound in the Utah desert. It is thought the missile could penetrate the bunkers and caves believed to be hiding Iran’s suspected nuclear facilities. But experts have warned that, in the wrong hands, the technology could be used to bring Western cities such as London to their knees. During Boeing’s experiment, the missile flew low over the Utah Test and Training Range, discharging electromagnetic pulses on to seven targets, permanently shutting down their electronics. Boeing said that the test was so successful even the camera recording it was disabled. Codenamed the Counter-Electronics High Power Microwave Advanced Missile Project (CHAMP), it is the first time a missile with electromagnetic pulse capability has been tested. For security reasons, Boeing declined to release film of the test, but instead issued an artist’s impression of it on video. In the clip, a stealth aircraft deploys a missile that emits radio waves from its undercarriage which knock out the computer systems inside the buildings below. It appears that the Syrian government may have just taken a drastic measure it has conspicuously avoided over the nearly two years of fighting: cutting itself off from the Internet. Renesys, a Web-monitoring service, reported Thursday morning that sweeping outages in Syria had shut down 92 percent of the country’s routed networks. Shortly after, it updated to report that the remaining IP address blocks had gone down, “effectively removing the country from the Internet.” The “Syrian Internet Is Off The Air,” it announced. Shutting down nationwide Internet service is a remarkable step, one with significant implications for Syria’s economy and security. Still, the country has already taken far more severe action, including reports of targeting children, so the government’s apparent decision not to switch off Web access until now was in some ways surprising. 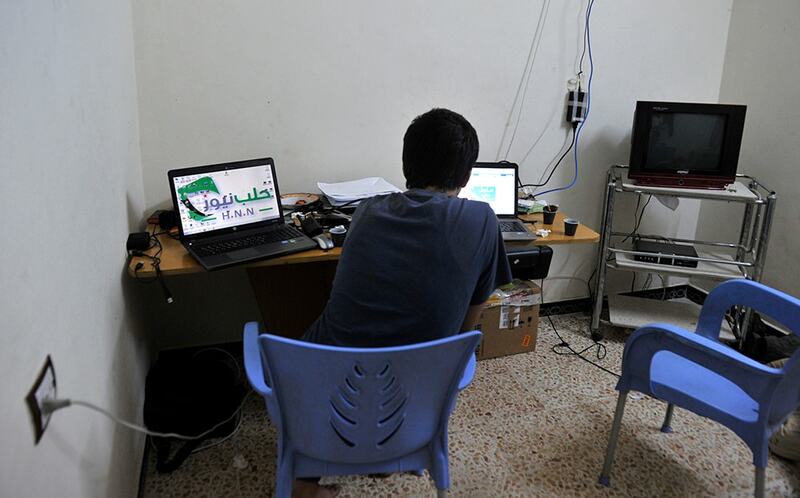 Egypt and Libya both shut down Internet service early in their own uprisings last year. Those were seen as major steps, as is Syria’s today, if the Renesys report is accurate. Still, maybe one question here is why Syria didn’t do this sooner. Its uprising long ago exceeded Egypt’s and Libya’s in severity by the time those countries had instituted their own blackouts. One possible explanation is that Syria has been far more assertive online, using it as a tool for tracking dissidents and rebels, and sometimes even tricking them into handing the government personal data using phishing scams. President Bashar al-Assad has a background in computers, unlike the much older Hosni Mubarak and Moammar Gaddafi, and once even directly mentioned his “electronic army.” Assad’s regime may have seen opportunity as well as risk on the Web, where perhaps the Egyptian and Libyan authorities saw primarily a tool of the uprising. Or, perhaps the Syrian simply feared the economic consequences of an Internet blackout, or lacked the means to conduct it. Perhaps the most important question is whether this reported shutdown represents a setback for the rebels and activists who have used the Web to coordinate, a sign of the regime’s desperation that it would take this measure, or maybe even both. Update: The Associated Press says that a second web-monitoring company is also reporting a complete shutdown. He’s the opposite of the common stereotype of the boring computer nerd. John McAfee, wanted for questioning over a murder and in hiding in Belize, has spent almost two decades living a life of alleged heavy drug abuse, sexual experimentation, deadly extreme sports and media manipulation. It was as a software designer at the arms giant Lockheed in the 1980s that the 67-year-old, English-born American set out on the path to infamy and fortune. Computer viruses were beginning to emerge and spread, and his machine contracted an infection dubbed Pakistani Brain, which slowed down floppy drives and made seven precious kilobytes of memory unavailable. McAfee resolved the problem himself, but hit upon the idea of creating software that could detect malicious software and remove it automatically. “It was an accident, like anything else in life,” he later said of his invention. (…) Jeff Wise, the journalist he told this story to noted, however, that McAfee “is a notorious trickster, who’s no stranger to sock puppetry”. McAfee’s bizarre world began to unravel in May, when police raided his home and arrested him on suspicion of manufacturing crystal meth and possession of an unlicensed weapon. McAfee protested his innocence to anyone who would listen. “It began, innocently enough, with my refusal to donate to the local political boss of the district where I lived in Orange Walk and I have given at least $2million in gifts to the police departments,” he said, casting further doubt on his 2009 claim he had only $4m left, which he later admitted was “not very accurate at all”. “Basically what I developed is a topical antiseptic. That’s what they claimed was my meth lab,” he told Gizmodo. This week it was alleged that McAfee has nevertheless been a regular contributor to a drug makers’ forum under the name “stuffmonger”. The poster explained how he had been trying to purify a “super perv powder” called MDPV and had been testing the results on himself. “I think it’s the finest drug ever conceived, not just for the indescribable hypersexuality, but also for the smooth euphoria and mild comedown,” he said. After three years of not owning the world’s fastest computer, the U.S. government is once again back on top, thanks to the Department of Energy. 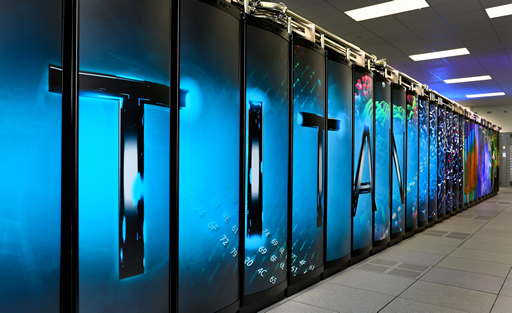 Energy officials on Monday unveiled Titan, a supercomputer so fast that its speed is measured in something called petaflops. One petaflop is equal to one thousand trillion calculations per second, and Titan is capable of doing 20 petaflops. At that speed the government is expecting to reclaim the honor of having the fastest computer in the world when rankings are announced next month. For the past three years, Japan, China, and Germany held the title. Titan is not a new computer. The Energy Department took an existing one, the Cray at Oak Ridge National Laboratory, upgraded it and gave it a new name. Scientists are hoping Titan will help with research in a wide range of fields and challenges, from climate change to biofuels to nuclear energy. AIR FORCE BASE, Utah (CBS St. Louis) — Boeing successfully tests a new missile that can take out electronic targets with little collateral damage. The aerospace company tested the microwave missile last week on a two-story building on the Utah Test and Training Range where computers and electronic systems were turned on to gauge the effects of the missile’s radio waves, according to a Boeing press release. The missile, known as CHAMP (Counter-electronics High-powered Advanced Missile Project), fired a burst of High Powered Microwaves at the building, successfully knocking out the electronic systems and computers, and even taking out the television cameras recording the test. Seven targets were taken out in total during the one-hour test which left no collateral damage. Coleman believes this can be a huge advancement forward in non-lethal warfare. “Today we turned science fiction into science fact,” Coleman said in the press release. James Dodd, vice president of Advanced Boeing Military Aircraft, is hoping to get these microwave missiles in the field sooner rather than later. Members of the U.S. Air Force Research Laboratory Directed Energy Directorate and Raytheon Ktech also took part in the test. Boeing Defense, Space & Security division is headquartered in St. Louis.